Athens is a must-see city packed with archaeological wonders, historic sites and charming tavernas. It’s often described as the historical capital of Europe, making it an ideal destination for history buffs. It’s one of the world’s oldest cities with many hidden sites to uncover and ancient monuments to admire. However, Athens manages to blend both old and new, having been modernised and revamped for the 2004 Olympics. The capital of Greece was named after the goddess of wisdom, Athena. As soon as you step off the plane you will notice there’s something magical about this city. It combines museums and art galleries with lively bars and restaurants serving mouth-watering, traditional, Greek food. Athens is also within close proximity to some beautiful beaches, making it possible to combine a city break with a beach holiday. 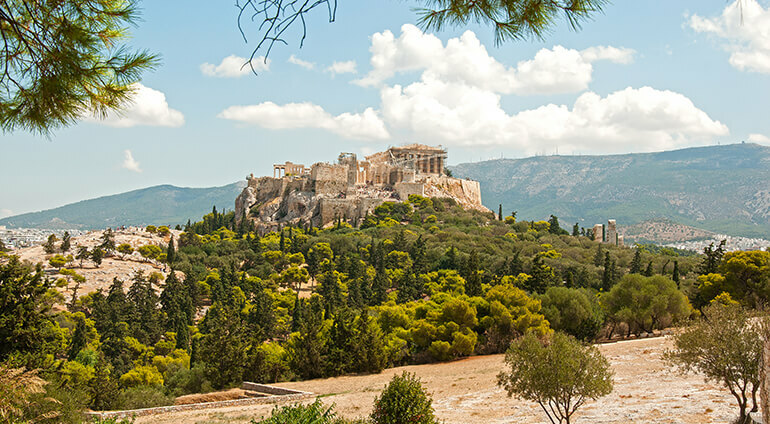 You will be mesmerised by the many things to see and do in Athens. Most of the major landmarks can be seen on foot. Athens also has a spectacular nightlife scene, making it a top destination for those looking for a memorable night out. Whether you enjoy sightseeing, dining in authentic restaurants, unwinding at the beach or partying through the night, you will have an enjoyable holiday in Athens.